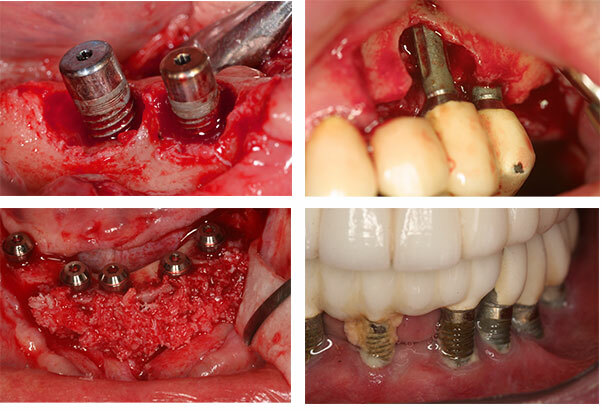 Complications in Implant dentistry are associated with surgical and prosthetic aspects and treatment approaches. The focus on this course is the description of problems in the daily practice associated with the surgical treatment and the management of patient after treatment. Intraoperative and early or late postoperative complications and their management will be demonstrated with multiple clinical cases and the management of the complications. The lecture will illustrate the technical approach for handling hard and soft tissue complications and guide the participants for a better clinical outcome based on medical and dental pathobiology and surgical techniques. In the hands-on session soft tissue surgical procedures will be trained step-by-step using the pig model. 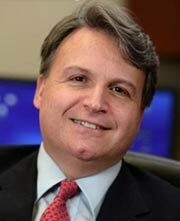 PROFESSOR OF PERIODONTOLOGY AT THE STONY BROOK UNIVERSITY, SCHOOL OF DENTAL MEDICINE. 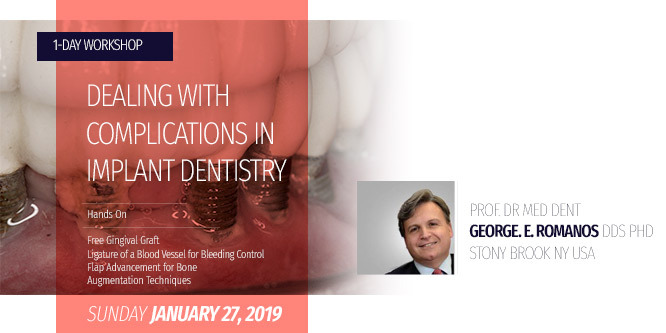 Professor of Periodontology at the Stony Brook University, School of Dental Medicine, Professor for Oral Surgery and Implant Dentistry in Frankfurt, Germany. Former Professor and Director of Laser Sciences at NYU College of Dentistry former Professor of Clinical Dentistry at the Univ.of Rochester, NY; Dental License in NY State and in Europe. Fellow of the Academy of Osseointegration (AO), the Int. College of Dentists, ICOI, ITI foundation, American Society for Laser Medicine and Surgery and the International Academy for Dental Facial Esthetics. Editorial Boards: IJOMI, Clin. Impl. Dent. and Relat. Res (member), J Prosthodontics (member), Odontology (Associate Editor), Photomedicine and Laser Surgery (member), Quintessence Int (member), Compendium (member), J Periodontology (peer review panel), Int. J Dent (member) and others; more than 250 publications, author of 5 books; over 500 presentations worldwide.